Even as women’s suffrage was fresh in the picture, Sarah Parker Remond and Charlotte Forten, once residents of Salem, MA, and both African American women, pushed the limits for women’s rights in their time. The two were prominent leaders in the abolitionist movement, speaking to crowds of men and women throughout New England. As local residents celebrate Black History this month and Women’s History in March, Salem has cause to celebrate both with Forten and Remond. Charles Lenox Remond, brother of Sarah Parker, was the first African American abolitionist paid as a lecturer on the abolitionist circuit. But Sarah Parker did not let her brother do all the work. A stubborn, independent woman, and trained physician, Parker Remond first defended her rights as a human being in 1853 at the Howard Athenaeum in Boston, MA. Though she bought tickets for herself and three guests for the dress circle, she was forced to sit in the segregated section. But she refused and a manager forcefully escorted her out of the Athenaeum, pushing her down the stairs. This did not discourage her. Soon after, she traveled as an agent of the Anti-Slavery Society across the United States, England, Ireland and Scotland gaining support for abolition. When the Civil War started, Remond stayed in England, lobbying the British Parliament to refuse helping the Confederate side. Successful, she remained and took a job as a physician in Florence, Italy. But Forten was no stranger to the cause either. Forten served as a prominent figure in Remond’s “Salem Female Anti-Slavery Society.” Earlier in her life, Forten’s father sent her to live with the Remond family in Salem, MA. Soon after in 1856, she became the first African American student at the Salem Normal School, an institution for educating future teachers. As the first African American teacher to join the “American Civil War’s Sea Island Mission,” Forten traveled to Port Royal, South Carolina, during the Civil War and educated recently freed slaves. When the war ended, Forten returned to teaching and expanded her career as a writer and poet. 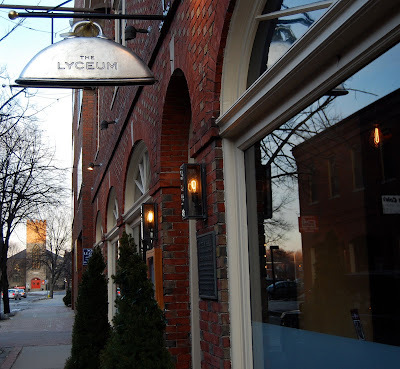 “One of the (abolitionist) lectures that I was excited about was Frederick Douglass,” said George Harrington, owner of the Lyceum Restaurant. The Lyceum hosted dozens of well-known abolitionists and speakers, Harrington said, including Douglass, Ralph Waldo Emerson, Henry David Thoreau, William Lloyd Garrison and Charles Sumner. Forten organized these lectures at the Lyceum, attracting large crowds to these events. Freeing slaves was Remond and Forten’s passion and life long purpose. Murphy said that because these women were nationally and internationally known in their time, they should be remembered—especially during women’s history month—as fearless and remarkable people, who despite their race and gender, took charge. Essay writing could even be a sculpture or Associate in Nursing art that is in associate considerably position to be become knowledgeable at. Actions and looms, devices and processes could even be knowledgeable at, skillful and rattling. this means to purpose that talent here essayplanet writing service. To furnish lend a hand to our booklovers essay writing service is usually set. to amass any in sequence please keep shut or connect with America. Tronng văn phòng công ty với mỗi phòng ban đều có những chức năng công việc khác nhau cho nên việc lựa chọn mua bàn làm việc nhân viên cũng hòa toàn khác nhau tùy vào mục đích sử dụng của văn phòng. Cho nên việc lựa chọn mua sản phẩm nội thất văn phòng như bàn, ghế, tủ… đều phải có sự thống nhất và dựa vào không gian văn phòng làm việc mà lựa chọn được mẫu sản phẩm cho phù hợp nhất. Hiện nay trên thị trường nội thất có rất nhiều sản phẩm ban van phong gia re tphcm khác nhau nhiều giá, mẫu mã và chức năng. Its nice article one of the lectures that you excited about was frederick Douglass, owner of the Lyceum restaurant freeing slaves was remond and forten’s passion and life long purpose murphy said that because these women were nationally and internationally known in their time. thanks for sharing information. Its a nice article,. Proud to be an indian. I am happy to read such an interesting and inspiring article. Sarah Parker Remond and Charlotte Forten you are such inspiring people that i have ever read about. I hope that i will get some information about you in future. Are you a student and you need Doctoral Research Papers Writing help? We are there and ready to help you in any way. I like reading this article. Wow, it looks like you, guys, get seriously down to the work. There were a lot of steps taken into account in order to rapair a home. Good job! Today, I have been surfing all over the Internet quite a while and came accross this naklua condowhich is currently on offer. When I made a research, I found out that it is a great spot to invest my money. With a possibility to get success in a year after, I guess this place will be worth me twice the sum it is priced now. I have to admit that this post on how Salem's History Showcases Women Abolitionists is quite interesting, very professional and relevant. You should keep on sharing. If what you really need is Dissertation Literature Review Help, how about letting us know. We do provide the best assistance, services that come on time and at very affordable rates. Thank you for providing a very informative post.